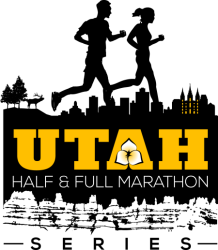 The Washington City Half is now a qualifying event for the Utah Half and Full Marathon Series! Click HERE to learn more. Washington City Half Marathon has a race for everyone. Run the scenic Half Marathon, go light with the 5K, or take the ultimate challenge and do the Double Dare. The kids can participate in the kids run. You don't want to miss Washington City Half Marathon 2019! Our Half Course is more runner friendly! The Washington City Half Marathon will start on 6300 W Old Highway 91 in Hurricane Ut, running along the highway and turning right onto Foothills Canyon Drive, Staying Southwest and turning onto Coral Canyon Blvd. Running all through Coral Canyon to Telegraph Street, from there you will hit Landfill road and hit the trail system from there. Running all through the trails through to Sullivan Soccer Park and get onto Washington Fields Rd, staying North this road until Majestic take a left, and then a Right onto Camino Real, then right onto 3650 S and finish at Staheli Family Farm. Sign up by January 12th 2019 to guarantee you get a race shirt & metal! Big Thanks to all our sponsors for their support on this race! Based on a 5 year average and a race date of February 1st, Washington, UT can expect temperatures between 33℉ and 60℉ with humidity around 48% and precipitation of 0". Raceentry.com also cannot attest to the validity of individual Washington City Half Marathon reviews. All of the information about the race has either been supplied by the event staff or can be modified at any time by their race management. 2020 Washington City Half Marathon registration details are only as accurate as the event has made them.